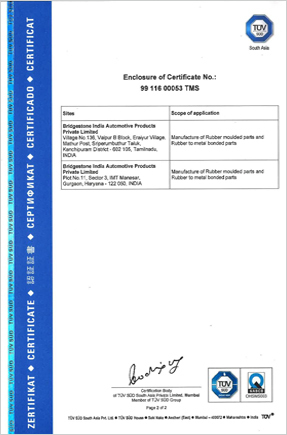 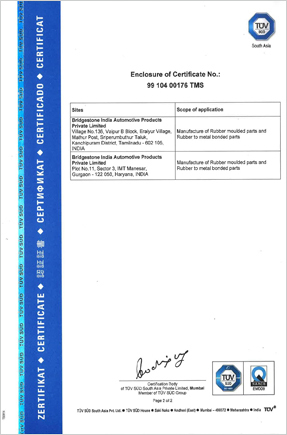 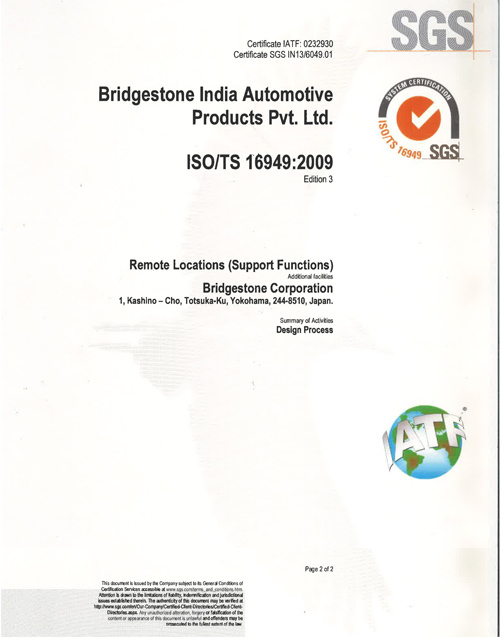 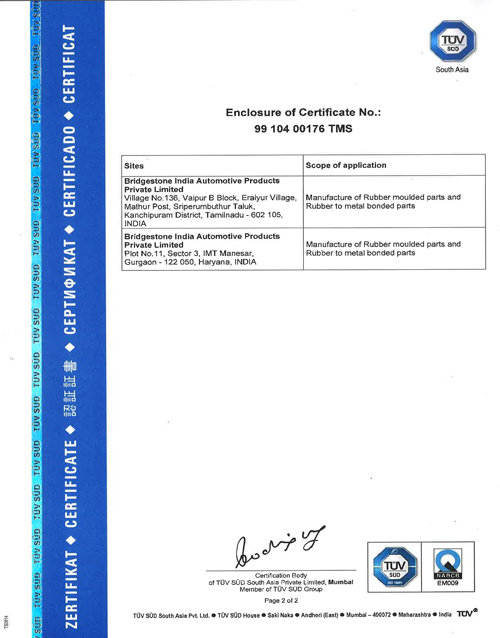 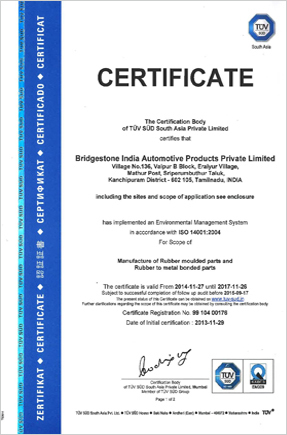 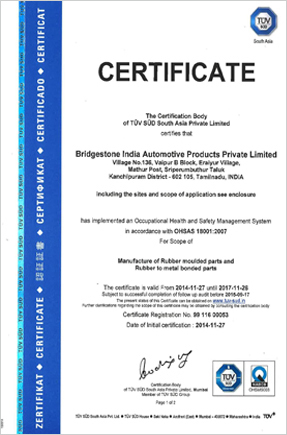 ﻿ Certificates | Bridgestone India Automotive Products Pvt.Ltd. 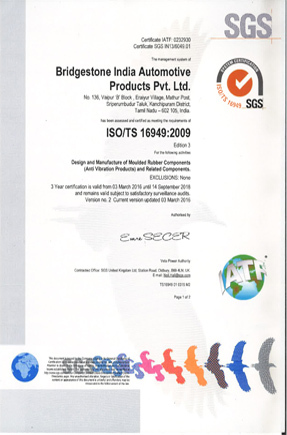 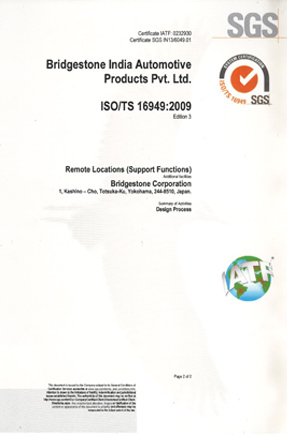 The Plants at Chennai & Manesar hold ISO/TS16949:2009 quality certificate awarded by SGS. 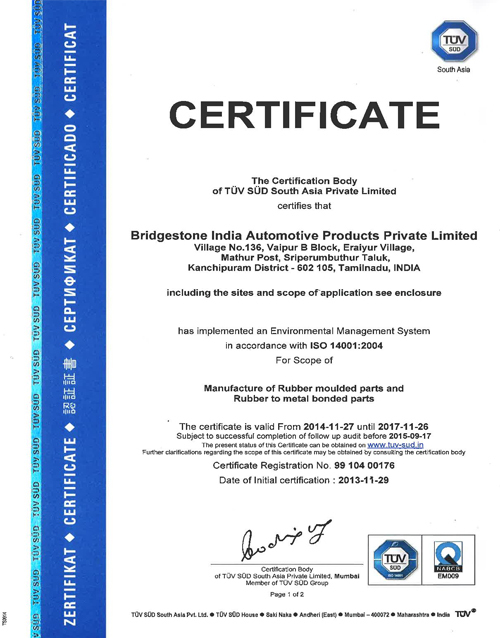 The plants at Chennai & Manesar have been awarded ISO 14001:2004 Environmental Management System certificate by TUV SUD SOUTH ASIA PRIVATE LIMITED. 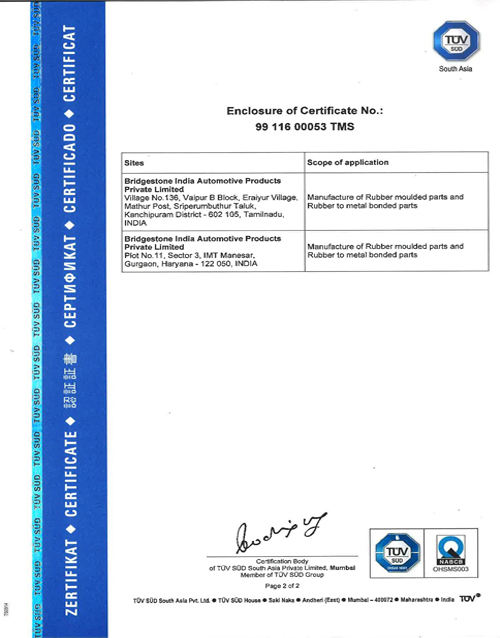 The plants at Chennai & Manesar have been awarded OHSAS 18001:2007 Occupational Health and Safety Management System certificate by TUV SUD SOUTH ASIA PRIVATE LIMITED.